Hello friends, I downloaded modeling form for mac but when I install it I get the following error. How can I fix? Last Edit: 3 years 10 months ago by pan. Are you trying to run Modelio directly from the archive? You have to extract all the files first. Last Edit: 3 years 10 months ago by osl. Make sure the checksum of your download matches the one provided on the download page . 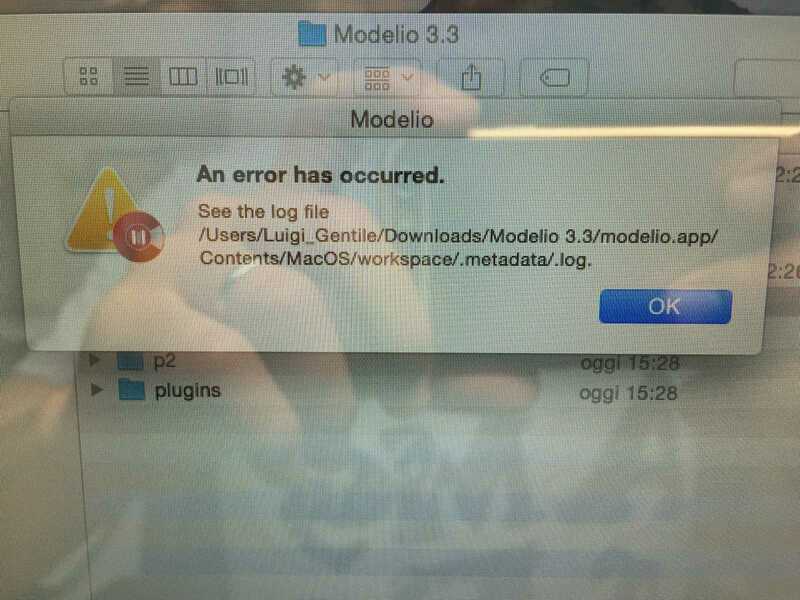 Also, the error mentions a log file. Do you have it? Generally this problem is due to the JDK version. Are you using the JDK 8?